The 809th Engineer Battalion (Construction) was activated on 15 November 1941 at Westover Field, Massachusetts. In May 1942, it was sent to England as part of the Allied Forces being gathered for the invasion of Africa. The Battalion landed in Morocco on 7 November 1942, where it had its first experience in the construction of tactical airfields. The importance of Aviation Engineers became apparent in the North African campaign. The 809th Engineer Battalion (Construction) went ashore on D-Day in the Sicilian campaign. Sicily was followed by the invasion of Italy. The battalion continued its mission of constructing airfields. 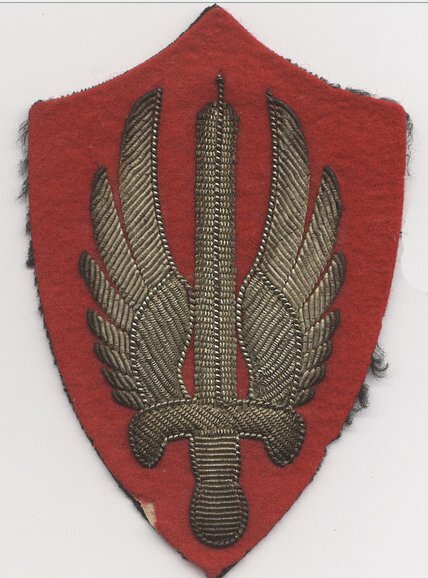 The 809th Engineer Battalion (Construction) landed in Southern France on 15 August 1944. As the Seventh US Army moved rapidly north from Toulon and Marseilles, the battalion reconstructed airfields that had been skillfully destroyed by withdrawing German forces. The battalion reached Germany in time to participate in the Rhineland campaign. It was there when the war ended on 7 May 1945, and was inactivated at Naples on 15 September 1945. The battalion was reactivated at Geiger Field, Washington, on 25 September 1946. It was assigned to the Air Force for the construction of air bases to meet the Communist threat. Units of the battalion were subsequently employed in Guam and Labrador. When the 809th Engineer Aviation Battalion, assigned to the 417th Engineer Aviation Brigade, 931st Engineer Aviation Group, entered the Korean War on 24 September 1951 they were a SCARWAF (Special Category Army With Air Force) unit under the 5th Air Force, USAF. The mission of the Company C, 809th EAB, commanded by CPT Waters, was assisting the 808th Engineer Aviation Battalion in repairing the runway at Kunsan Air Base (K-8). This runway had been built over a rice paddy and did the wave thing every time a truck went over it. Numerous graders and bulldozers got stuck and the 809th EAB had to dig it up and add more fill. Later Company C, 809th EAB moved to Anyang, South Korea (52-53) under the command of Captain Claxton Ray. After the cessation of hostilities in Korea, the battalion moved to Guam on 17 January 1954. Its mission was to expand Anderson Air Force base for use by intercontinental aircraft. In March 1960, Company B moved to Okinawa as the advance party for the battalion. Company C was sent to Korea in June 1960 to build missile sites. The remainder of the battalion moved to Okinawa in July. Company C rejoined them in November 1960. While on Okinawa the battalion built roads, buildings and earth work in support of the Army, Navy and Air Force. The battalion also built schools, roads and recreational facilities in support of President Eisenhower's People-to-People Program. In January 1962, the battalion was selected to build the Bangkok Bypass road from Chachoengsao to Kabin Buri in Thailand. The battalions experience in earth moving, paving and quarrying operations made it a logical choice for this large and difficult assignment. To perform this mission, the 809th Engineer Battalion (Construction) was organized into a Headquarters and Headquarters Company, Equipment and Maintenance Company, and two construction companies; Company B and Company C.
The first of nine shiploads of men and equipment landed at Pattaya on 22 February 1962, and the last element reached Camp Charn Sinthope near Phanom Sarakam in Chachoengsao Province, Thailand, on 23 March 1962. Road construction began in April 1962. 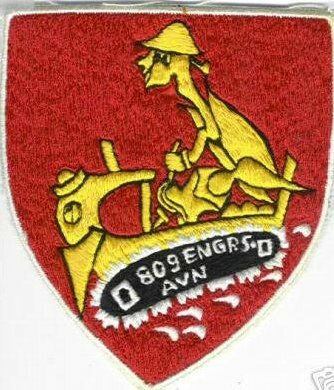 On 15 January 1964, the 561st Engineer Company (Construction) was attached to the battalion. On 14 July 1965, the 538th Engineer Battalion (Construction) was assigned to assist in the completion of the road. Final paving of the road was completed on l8 February 1966. On 25 March 1966 the Bangkok Bypass road, the largest civic action project in the history of the U.S. Army, was dedicated. For their performance in the construction of this road, the 809th Engineer Battalion (Construction) and the 561st Engineer Company (Construction) were awarded a Meritorious Unit Commendation. As soon as the Bangkok Bypass road paving was completed, Company B moved to Sattahip to begin construction of Camp Vayama, a 1000 man troop cantonment area which would eventually become part of a vast port and logistical complex. Joined by Company C in the later part of May, construction continued. In August, the main portion of Company C was moved to Sakhon Nakhon where it built a troop cantonment area, a Special Forces camp, and a POL tank farm at Nakhom Phanom (NKP) in support of the Air Force. Company B, augmented by a platoon from Company C and specialized equipment and personnel from Company A, continued work on, and expanded, a now bustling Camp Vayama. On 3 January 1967, Company C returned to Phanom Sarakam to begin work on the Inland Road, a 122-kilometer, all weather highway which would connect the Port of Sattahip with the Bangkok Bypass road. Upon its completion, the Inland Road became a vital contribution toward the further economic development of Thailand and served as an important link in the supply and communication lines between the Gulf of Siam and northeast Thailand. The battalion was deactivated 3 February 1971 at Camp Rum Chit Chai, Sakhon Nakhon, Thailand.